The holidays are just around the corner, and for many companies those decorated marketing and advertising campaigns are already very much underway. Personalization, that is creating an engaging online or in-store experience for consumers, whether it’s through voice-enabled shopping, virtual reality, augmented reality or personal shopping bots. ClickZ reports that 43% of businesses are increasing the amount they’re spending on in-store technology this year. Focusing on mobile. Consumers are actively shopping via their smartphones and tablets to get to mobile web and applications now more than ever. Adobe Digital Insights reports that mobile devices drove 50% of shopping visits and 28% of online sales last year. Whether it’s showcasing last-minute deals, conducting mobile promotions, using mobile payment options to streamline in-store and online checkout processes, using video and chatbots to instigate online purchases, all of these features can help bring a more personalized experience to consumers. Keeping online grocery shopping options convenient and seamless with digital strategies, catering to both online and in-store customers. Adobe Digital Insights reports a 66% increase year over year among major urban and tech centers, manifesting the importance of convenience and time savings for consumers. Statistics show that more and more consumers are buying the week before Christmas in recent years and are relying on “buy online, pick up in-store” options now more than ever to avoid high shipping costs and to receive their items in time for the holiday. In prior years, the week before Christmas wouldn’t normally be a popular time to online shop because consumers likely weren’t confident their items would arrive on time. But with this option, shoppers are able to continue shopping closer to the holiday and/ or procrastinate longer in starting their shopping process. Keep your email and display advertising on point and also simple to share. ClickZ reports that as much as 35-40% of business is attributed to email, with display advertising also bringing a lot of momentum during the holidays. A survey published on Monday by Adobe revealed that 50% of white collar workers prefer to be contacted by brands via email versus direct mail and social media. In recent years, word of mouth has proved to be a driver of a solid 74% of sales, so ensuring campaigns across all platforms are shareworthy and easily transmittable are also factors to keep in mind. 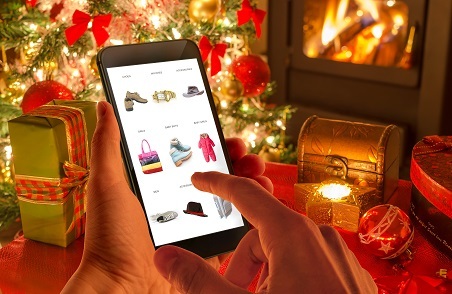 Last year consumers reportedly spent a record-breaking $83 billion during the holiday season, according to Adobe Digital Insights, and that figure shows no signs of going backwards. With that in mind, it’s crucial for marketers to stay on top of and tap into the latest innovations and newest technologies being incorporated into campaigns across all platforms so they don’t miss a moment with their audiences. ‘Tis the season, and happy marketing.